Stock. Bone Broth. Kissing cousins. Similar. Interchangeable, yet still not quite the same. What is the real difference between the two? Let's break it down. 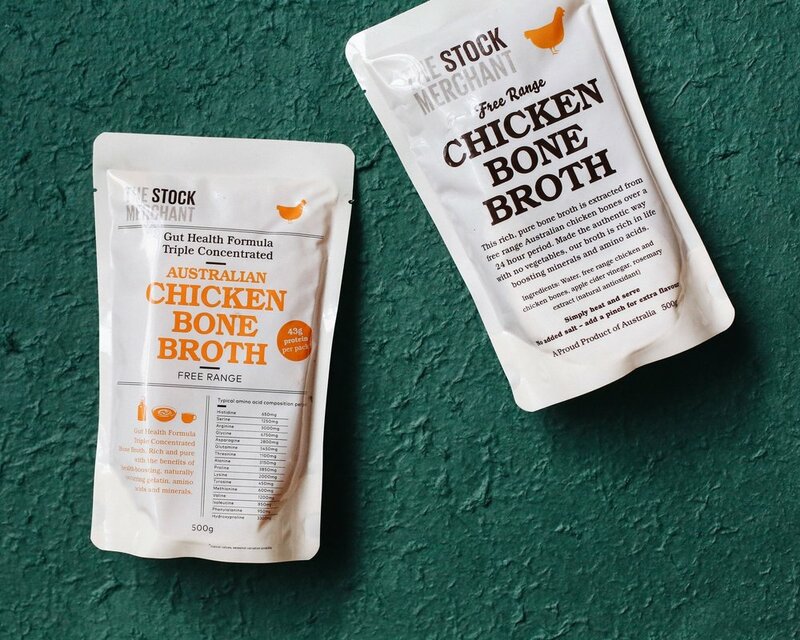 Both our stocks and bone broths are made the traditional way, with high quality Australian ingredients. It's real food. Our beef bones are always grass-fed, our chicken bones are always free-range. Both our stocks and bone broths are gluten free and paleo friendly. Neither contain any gluten, preservatives, colours, yeast extracts or other flavour enhancers (like “vegetable powders” or “vegetable extracts”). Neither contain any added salt, meaning you control the seasoning. Our stocks are simmered with market fresh vegetables and herbs for incredible depth of flavour, making them the perfect base for cooking. Our bone broths, on the other hand, are made with bones and bones alone - with no added vegetables or herbs. The lack of onion in our bone broths makes them ideal for those on low fodmap diets or with allergies. Our range of stocks are simmered between ten to twelve hours, resulting in a product with incredible depth of flavour and remarkable purity. Our bone broths have super (super, super) long extraction time – 24 whole hours. This makes them extra-potent and chock full of minerals such as calcium, phosphorous, magnesium and potassium. Its high concentration of collagen means our beef bone broth turns to jelly when refrigerated. This long extraction time, coupled with an increased ratio of meat and bones to water, is the reason behind the price difference between the two stocks. So, when should I use each? We recommend enjoying our bone broth by the mug full with a pinch of salt to bring it to life. It’s high concentration means it’s great for very simple recipes such as soups and adds a huge nutrition boost to any meal. Our stocks, while interchangeable with our broth, are great for any cooking application. The herbs and vegetables add a deep flavour suited to any savoury dish. 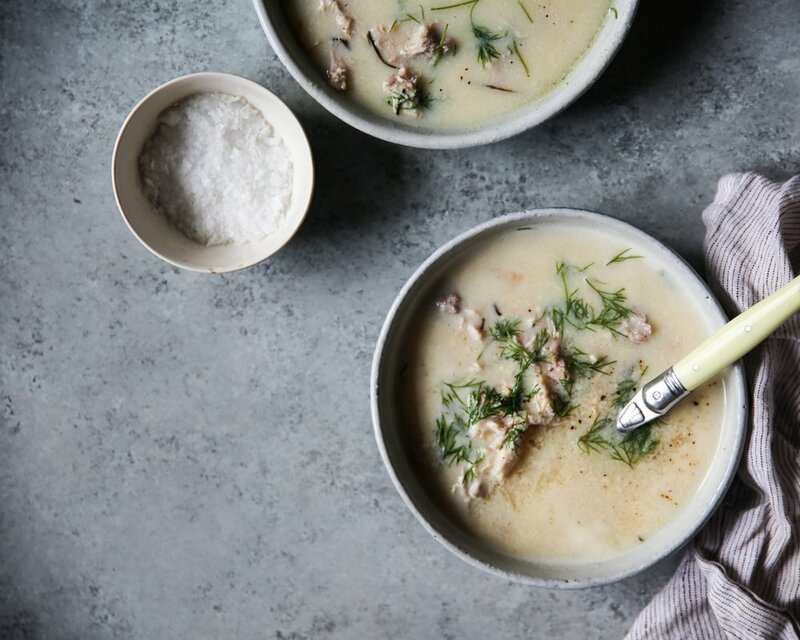 We hope this helps you understand the difference between our stocks and bone broths. However, while there are some differences, both are products of a philosophy we take very seriously at The Stock Merchant – integrity, authenticity and flavour. It’s real food, made from real ingredients. Enjoy using our stocks and bone broths in abundance! We're glad you asked. Gut Health is our new range of bone broth that's triply concentrated and even richer in health-boosting amino acids, vitamins, and minerals. Learn more about it here.